These awards recognise the outstanding performance of the 50 fastest growing businesses in the South West, based on turnover over the past three years. According to the organisers, businesses making the cut have grafted, innovated and overcome challenges. 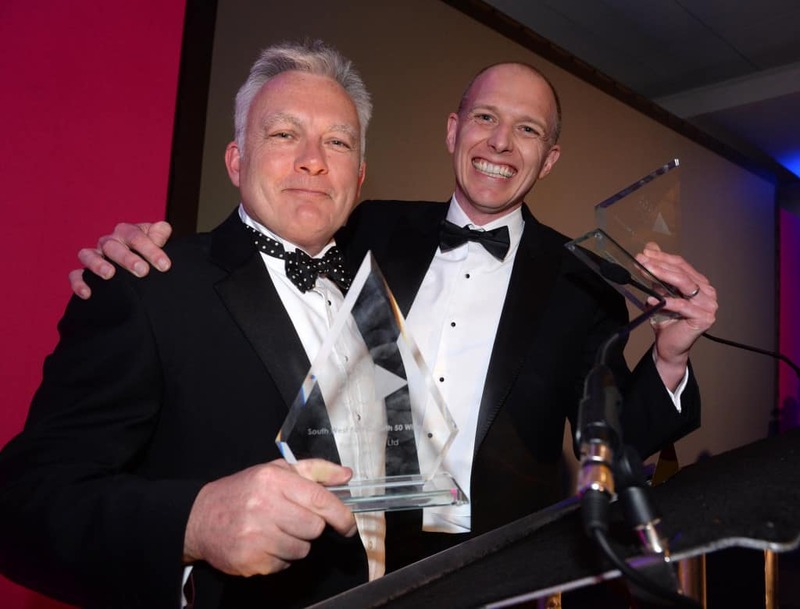 The South West Fast Growth 50 was announced by television personality Nick Hewer at a glittering awards ceremony at Ashton Gate stadium. The awards were split into two parts: prizes were awarded for the fastest growing companies by sector and there was also an overall ranking for the region. The countdown began with the 50th fastest growing company and worked its way down, naming category winners every now and again. About half way through, we were named the fastest growing company in the financial and professional services firm category. We faced stiff competition in this category from local businesses Crowdcube, Cornish Mutual Assurance Company, 1pm plc, Curtis Banks plc and Kingston Barnes – and so were pleased as punch to take home the trophy. And as Nick Hewer descended lower and lower through the rankings, we couldn’t believe our name hadn’t been called yet. 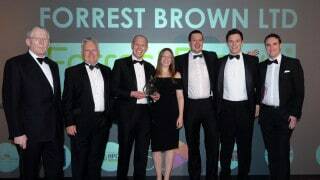 Finally, after what seemed a very long wait, ForrestBrown was named as the number one fastest growing business in the South West. In the last three years, ForrestBrown has been on an incredible growth journey – our turnover has increased by 511% between 2014 and 2016. We’ve doubled in size each year and have won awards for our work. Most recently we were named the 47th best small company to work for in the UK by The Sunday Times.